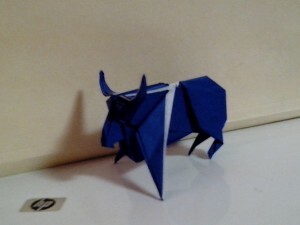 So here is another gnu in origami, photographed atop my printer. The horns going up this time. Yay horns pointing up is always a plus!